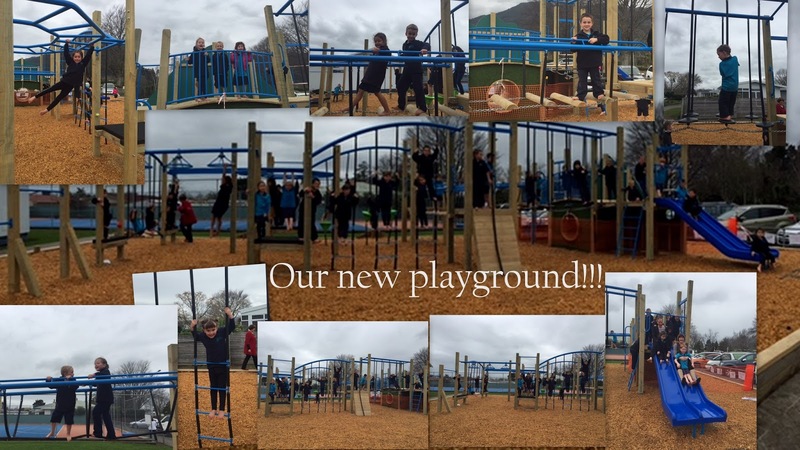 Room 5: Our new play ground is open!!! This week our beautiful new playground was finally signed off and we watched the builder take down the orange fence. Room 5 and 6 were the very first people to have a play ! It was so exciting to get on and try out the new equipment. There are bridges to walk over, new slides - plus some awesome climbing things! Even Miss Williams and Mrs Trebes jumped on and tested out the new slide (see if you can spot the photo).